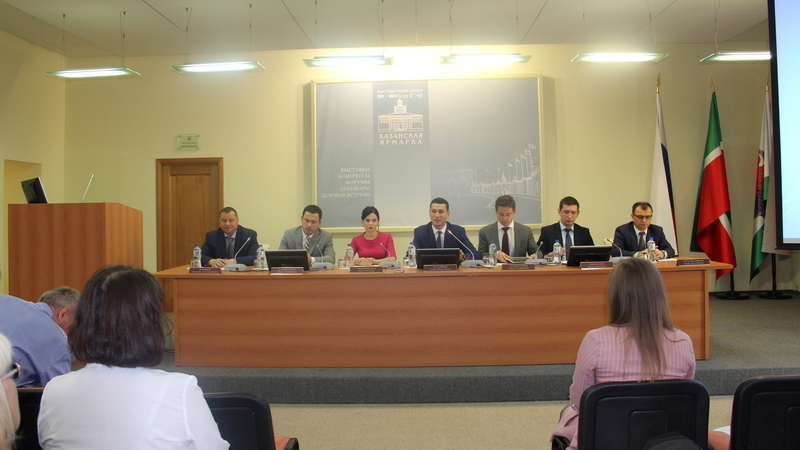 The Tatarstan Ministry of Industry and Trade held a seminar on the participation of Tatarstan enterprises in federal and regional industrial support programmes. The goal of the seminar is to introduce the republic's enterprises to the most complete range of government support programmes. The meeting heard eleven speakers being both representatives of federal and regional-level government foundations and enterprises that had implemented their financial support opportunities. Head of Consulting Centre at the Russian Industry Development Foundation Anna Simanovskaya told about the Foundation’s support tools and presented two new programmes. In total, the Foundation is implementing 8 programmes, the most popular one being the Development Projects Programme for funding the combined costs for organising new production facilities, as well as for upgrading and expanding existing production lines. “Our task is to convey all existing government support measures to the enterprises, guide them to participate in these programmes in order for the industry and the real sector of the economy of the republic to develop more rapidly, implementing its investment projects,” Deputy Minister Almaz Khusainov noted.